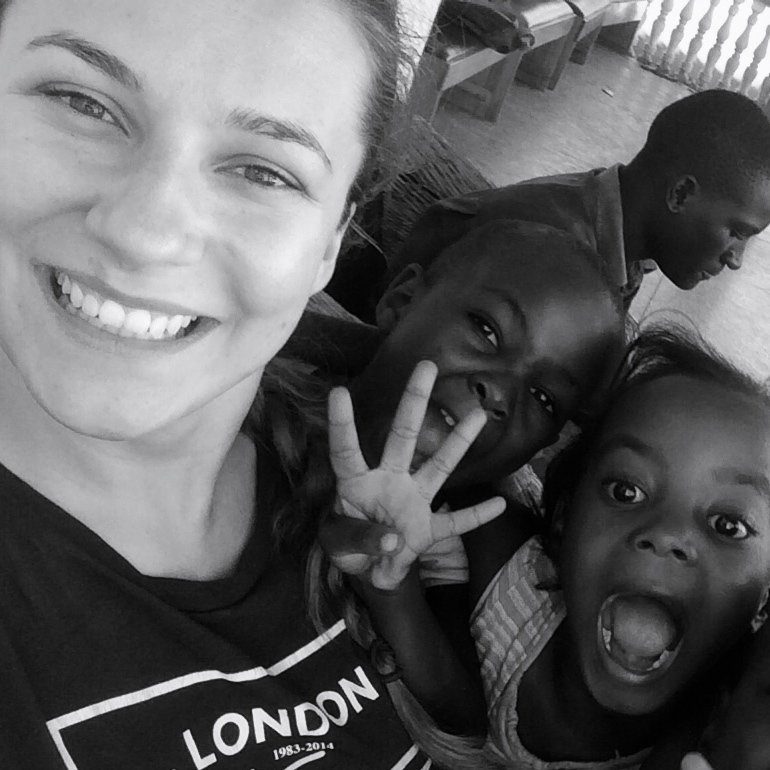 May was a busy month at Action in Africa's "The Center." Read below to hear more about our most recent volunteers, a book report challenge that we launched, the programs we offered during holiday break, our end of the holiday party and about our matching grant campaign for the month of June. The minimum commitment we ask our on the ground volunteers to make is two weeks. Sometimes we like to break the rules and make exceptions, which is exactly what we did with Paulina. Paulina is originally from Poland but currently lives in Dubai and works for Emirates airlines. She loves her job for a million reasons but especially because of how much she is able to travel. Paulina joined us for a few short days and truly made the best of a brief time. She immediately immersed herself into our routine and programs. She was tremendously helpful with everything and we already miss having her around The Center. Thank you for your visit Paulina! We can’t wait until we see you again in October! Walker grew up in Aspen, Colorado so he has heard about Action in Africa for many years. This past winter he told Maggie that he was traveling throughout Southeast Asia and she somehow convinced him to add Africa to his journey. 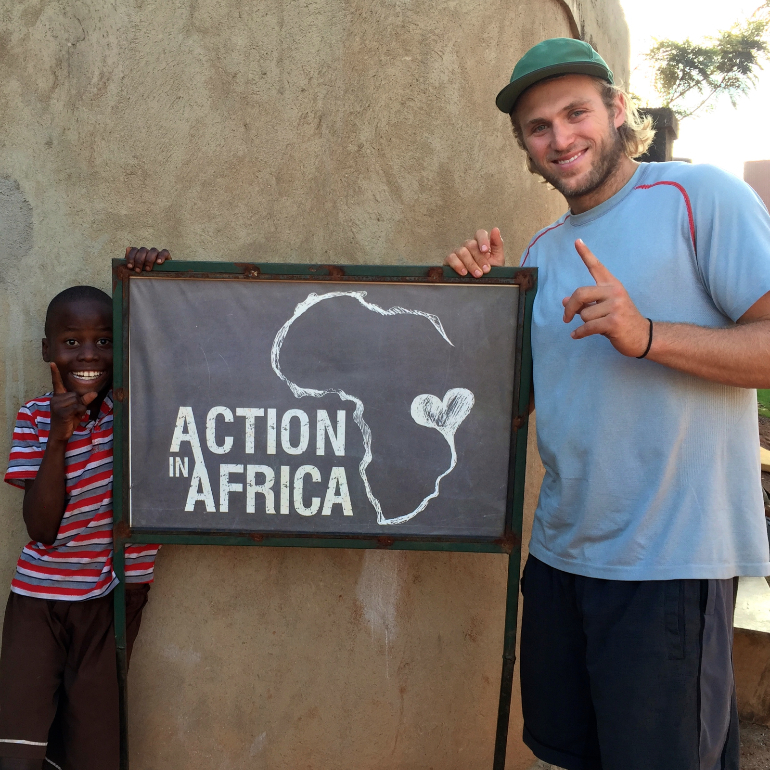 He joined us a week ago and will be volunteering at Action in Africa until the end of June. While he is here with us, he will be teaching the PE class at St. Johnson’s Primary School, leading the sports workshop at The Center, helping develop our sustainable garden and guest writing posts on our blog. Welcome to the team Walker! In attempts to further incentivize the kids to read at The Center, we launched a book report challenge. After reading an entire book they fill out a report and then get a sticker next to their name on the chart in the library. Our reward based system encourages students to keep reading! The primary and secondary school systems in Uganda are organized by the calendar year and are broken up into three terms. Term one began the end of January and was completed by the end of April. 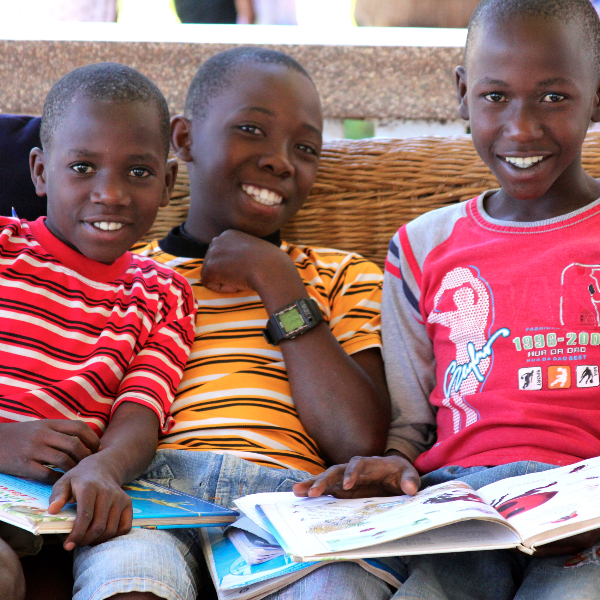 This means at the end of April all the primary and secondary students in Uganda go on holiday break for a few weeks. Many kids go to their family villages to spend time with distant relatives and to help with manual labor projects. The kids love this time off of school and being with their families! Unlike the schools, these holiday breaks are Action in Africa’s busiest times. Committed students were lining up at our gate before 10am, eager to utilize the library and to use the workshop space to study. Our facility was overflowing with people! In the afternoons we still offered our creative-based programming. 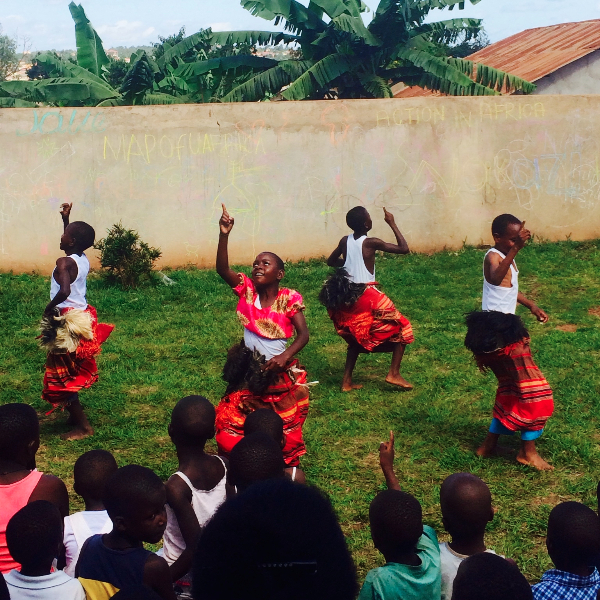 Some of the programs we offered during the holiday break were music, dance, drama and sports. It was such a blast! 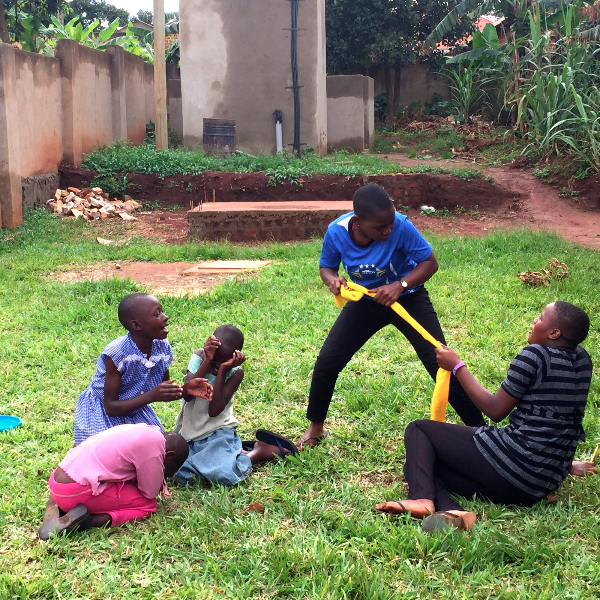 At Action in Africa we love any reason to throw a party. The excuse this time was to celebrate the end of the holiday break. After three weeks of zero classes, endless hours of studying in the library, and a variety of creative workshops, it was time to say farewell to all our holiday participants before they headed back to school. At our "End of the Holiday Bash" our students performed dances, poems, plays and songs for 350+ that were put together throughout the three-week break. After two hours of fabulous performances, we ended our Saturday afternoon bash with the best dance party that Nakuwadde, no wait Uganda, has ever seen. We can’t wait to do it all over again at the end of Term 2 in August! We ended up accidentally adopting one of our participant’s dogs! Read all about our new pet Poppy and Joel, the actual owner whom we are co-parenting with! Click here for the whole story on Joel and Poppy! Due to a very generous donor, we are able to launch a matching grant campaign for the month of June! 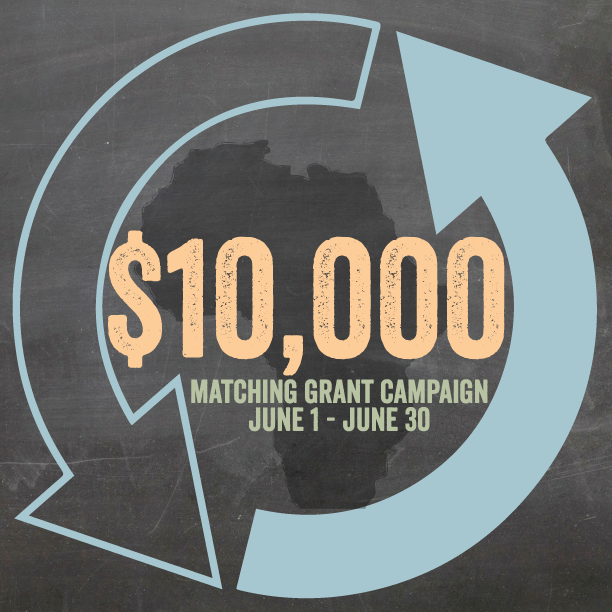 Every donation that is made between now and June 30th will be matched up to $10,000! This means your $100 donation is actually $200 and $500 is actually $1,000!!! Once again, if you made it all the way to the bottom of this newsletter we want to applaud you! We know it was a novel! 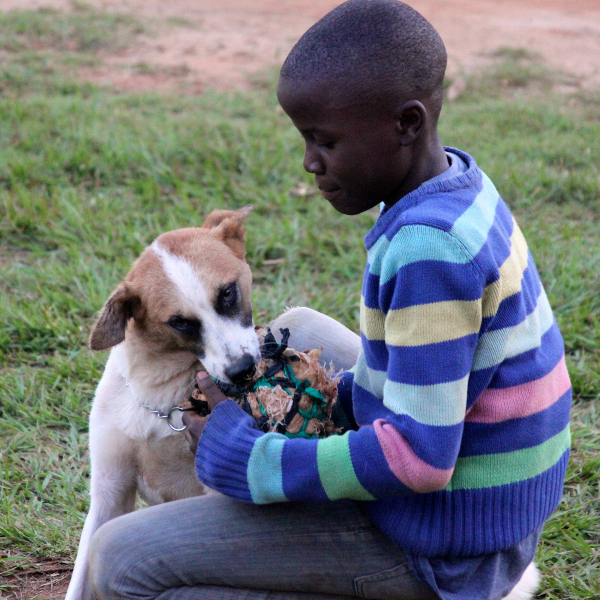 We love people who are eager to know more about us and who appreciate the work we do in Uganda. So to show our gratitude, we would like to send you a little Ugandan something-something in the mail. Please respond to this email saying "I READ THE WHOLE DANG THING!" and then put your mailing address. You can expect your gift this June! Newer PostThe Boys are back in town!